If you always wanted to be a superhero, you will definitely like this project. Injustice: Gods Among Us game is a fighting, based on the different comics. Here you will be able to fight as Batman or Catwoman, Superman or Green Arrow and resist the evil's forces. The gameplay of Injustice: Gods Among Us game has very interesting 3D-maps, but the battles will take place in two-dimensional plane. Each character of the game will have its story, and each one will be fighting against different antagonists. Also different characters will have different abilities and skills, so each battle in Injustice: Gods Among Us game will be exciting and unique. 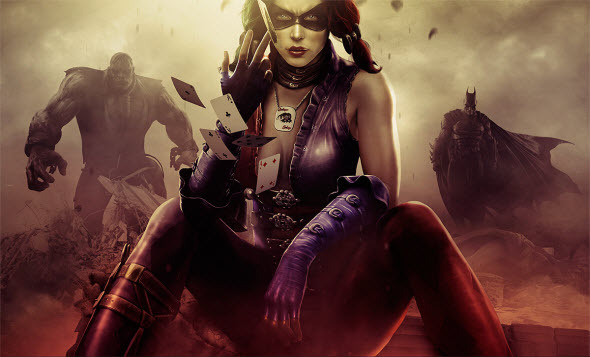 Injustice: Gods Among Us game will be released on the 16th of April, 2013 for consoles, but already now we can watch the latest Injustice: Gods Among Us trailer to imagine the whole range of this project. How do you like Injustice: Gods Among Us game and its trailer? Let us know in the comments below and don't forget to visit our Facebook community, where we have prepared lot of other gaming news for you.